MOSCOW (Sputnik) — The serial production of a new generation radio sets for the Russian army, ensuring the secure transfer of data over distances of up to 600 km (about 370 miles) without silent zones, will be launched next year, Russia’s United Instrument Manufacturing Corporation (UIMC) said Friday. "UIMC has completed the development of a new generation of manpack radio sets for the army, security agencies and the Emergencies Ministry. The digital MO1 radio set provides high-speed secure data transfer over distances of up to 600 kilometers ensuring the absence of 'dead zones' where other means of communication cannot work reliably… The start of its serial production is scheduled for 2017," the company said in a statement. 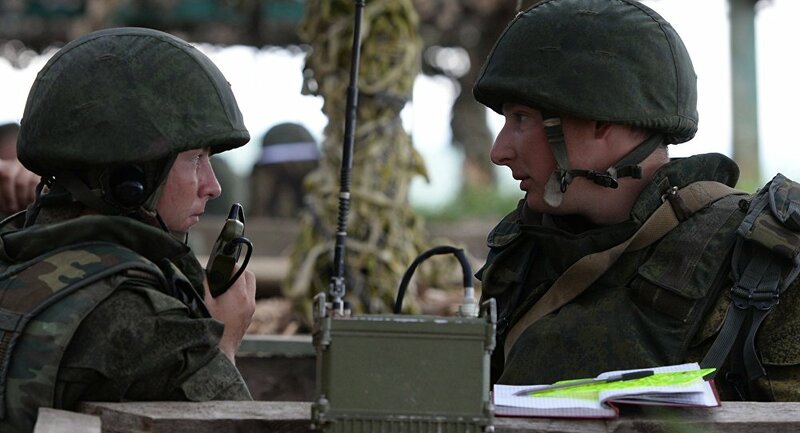 UIMC, a part of Russia's state technologies corporation Rostec, added that the new radio sets feature the ability to choose optimal communication routes and the automatic testing and restoration of operational capacity. Russia is currently implementing a large-scale rearmament program, announced in 2010, under which the distribution of digital communication sets among the Russian military should reach 70 percent by 2020.